Children honor their elders by pouring water on the hands of Rattanamada Sangrung and others. 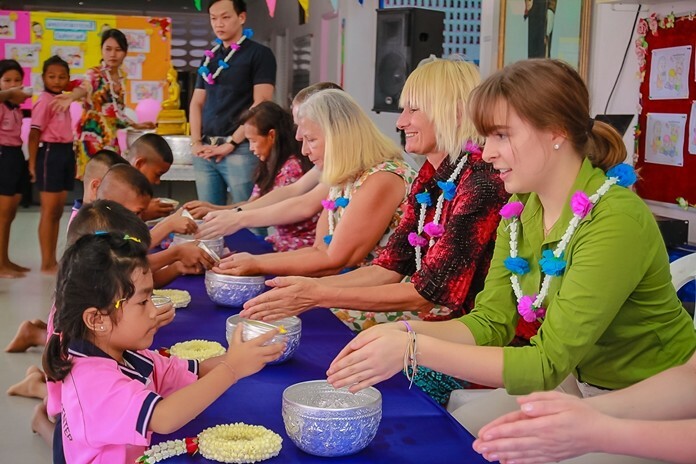 Children and staff at the Human Help Network Thailand and ASEAN Learning Center celebrated Songkran April 12 with a traditional water pouring ceremony. Rattanamada Sangrung, head of the ASEAN Learning Center, presided over Buddha image bathing rites and lustral water pouring. Drop-In Center Manager Pirun Noyimjai, foreign volunteers, and children under the center’s care took part in pouring water on senior citizens’ hands. The children then honored their elders by pouring water on the hands of Rattanamada Sangrung, Pirun Noyimjai, and foreign volunteers. Drop-In Center children pour water on the hands of volunteers. 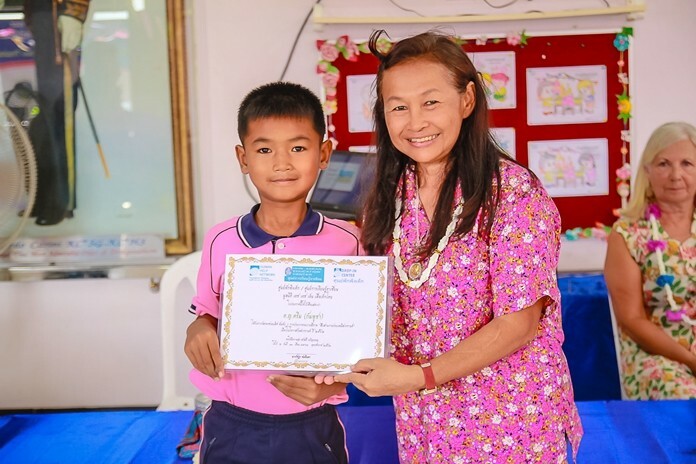 After traditional ceremonies were finished, children performed a Fon Ean Kwan dance show, followed by a ceremony where winners of a recent art contest were awarded certificates. Contest winners were Rod, Kream, and Namfon who finished first through third in the under 9-year-old category. Sakorn, Wanna, and Srida in the under 12 category, while Prung, Jariya, and Tone won in the under 15 category. 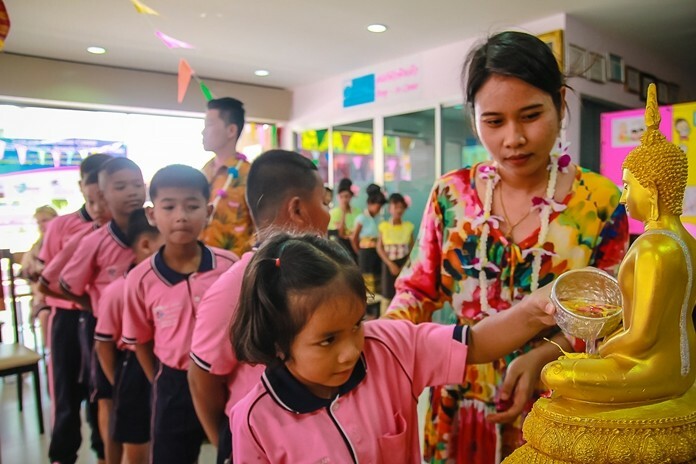 Youngster learn early about the solemn Songkran Buddha image bathing rites tradition. Winners of the school’s art contest are awarded certificates.